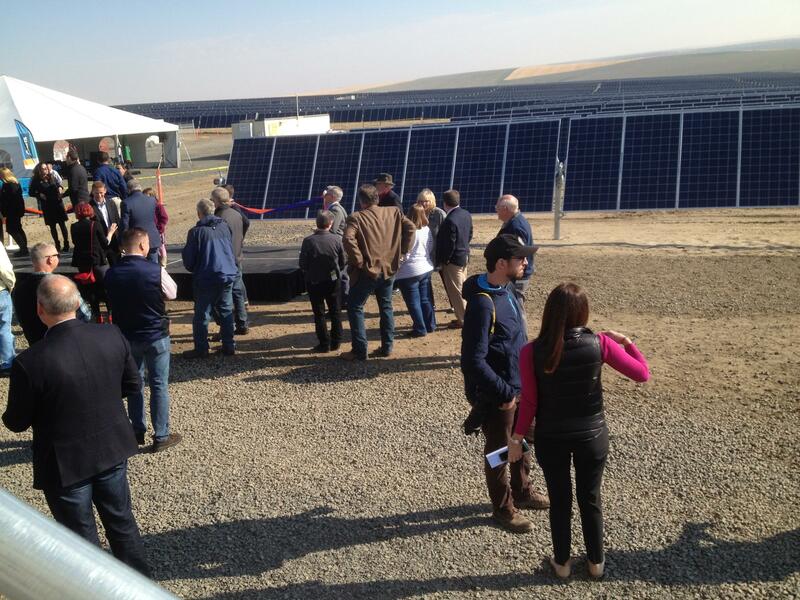 Avista buys energy from a "solar farm" near Lind, Washington. It is one of the utilities that would be subject to the "clean energy" bill approved this week by the Washington House. The Washington State House of Representatives passed what its supporters call a "clean energy" bill Thursday on a 56-42 vote. The law would require the entire electric grid to be powered by 100% clean energy by 2045. It would require removing coal from the electricity grid by 2025 and accelerate closure of coal plants in Montana and Wyoming. The floor debate in the House was heated at times. Democrat Debra Lekanoff said the bill would provide hope for younger generations that climate change won’t be a disaster for the planet. “We will be joining four other states across this nation, in saying those words. We are going to take on climate change, were going to do it well and right in Washington state," Lekanoff said. "How excited are we to say clean energy. How excited are we to say climate change. How are we here on this floor with all of the diversity in saying this together, we can make generational differences," she said. Republican Jeremie Dufault said the bill was like a Green New Deal that relies on science fiction to solve environmental problems. “Madame Speaker, this bill forces the people of Washington state to pay for the environmental sins of the entire world. I don’t support any of those things and urge a no vote,” he said. The bill now goes back to the Senate, which passed an earlier version. If it's approved there, it will heading to Governor Inslee for his consideration.